From the moment you begin talking to us here at Grants you will see that we are passionate about providing great quality products and service. Our aim – with every installation we undertake – is to make sure our clients get the very best solution for their unique situation and we hope that, above all else, our commitment to quality shines through. Whether you live in an English country home, a shabby chic cottage or an urban loft apartment Grants has a shading solution to suit your space. We continually update our weaves, fabrics, braids and accessories to reflect the changing moods of contemporary style. But we also offer a complete range of classic designs that outlast fashion trends. The natural wood range of Pinoleum, for example, is a flexible and enduring design classic. This material can be stained, paint washed, varnished or simply left in its natural state. We also offer a custom-colour service, which allows you to paint-match Pinoleum blinds, wooden shutters and wooden venetians to ensure a coordinated look to your room. Tradition is important to us, which is why our products are manufactured in time-honoured fashion and our service is the good, old-fashioned kind. We’re also interested in tradition of another kind – that of historic buildings – and that is why we have a range of products suited perfectly to period properties. 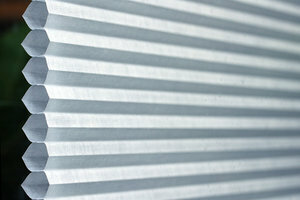 We offer the Platinum Service plan designed to guarantee your blinds stay in the best possible condition for as long as possible. Our ethos is to provide a truly personal service – that’s why our customers can call and speak to the business owner at any stage of the project. And our highly popular Platinum Service takes this a stage further, offering exclusive discounts, offers and personalised after-sales care of the very highest standard. Our reputation is very important to us; there’s no better recommendation than a satisfied customer and we aim to ensure everyone who comes into contact with us at Grants is happy with the our service.